Master Musicians Of Jajouka, Bill Laswell, Branford Marsalis, Bruce Hornsby, Cecil Taylor, David Murray, Flea, Geri Allen, Henry Threadgill, Jack Dejonette, James Blood Ulmer, Jason Moran, Joe Lovano, John Zorn, Karl Berger, Laurie Anderson, Nels Cline, Patti Smith, Pharoah Sanders, Ravi Coltrane, Savion Glover, Sonny Rollins, Thurston Moore, Yoko Ono. This supreme set includes all 24 performances from the two events, Ornette’s last performance at the “Celebrate Brooklyn” show and his Memorial at Riverside Church. The limited edition of only 1600 hand numbered sets boasts 4 LP’s, and the Deluxe 5 Disc Gatefold which is comprised of 2 DVDs, 3 CDs, an exclusive black and white Ornette poster and a 26-page collector’s booklet with extensive liner notes by James Blood Ulmer, John Snyder, James Jordan, and Denardo Coleman. The albums are pressed on 180-gram vinyl at the legendary United Record Pressing in Nashville, Tennessee. The Deluxe 5-Disc Gatefold set, included in the Premium Box Set, available for separate purchase. 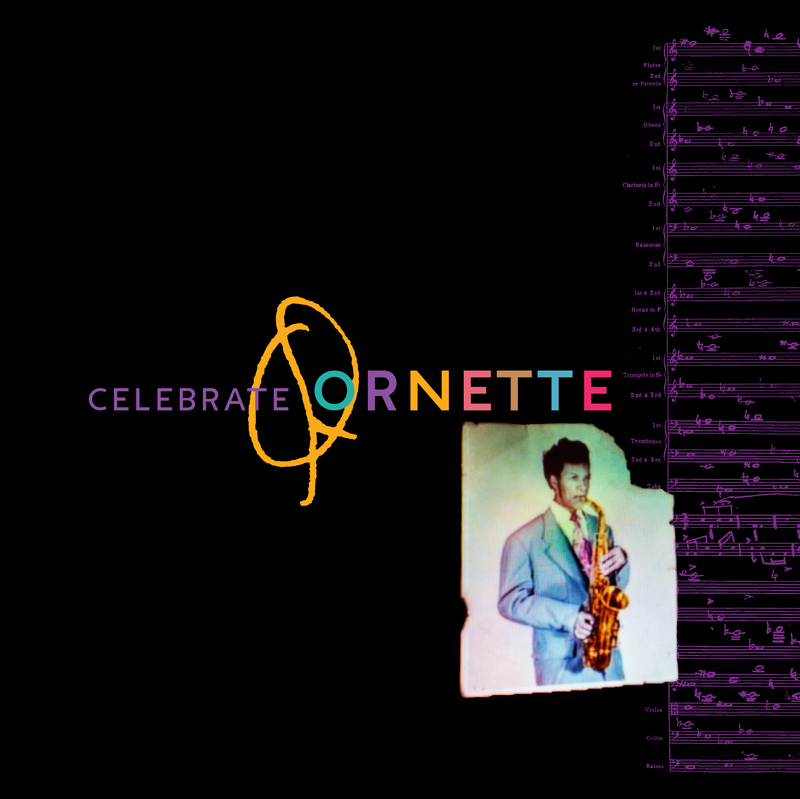 The Deluxe Gatefold Set presents all 24 performances from two events, Ornette’s last performance at the “Celebrate Brooklyn” show and his Memorial at Riverside Church, in digital form. The set comprises 2 DVDs, 3 CDs, an original black and white Ornette poster and a 26-page collector’s booklet with extensive liner notes by James Blood Ulmer, John Snyder, James Jordan, and Denardo Coleman. An original Ornette Coleman 10-page linen Memorial Program is also included. Ornette Coleman, the lightning rod. The most polarizing figure in the history of jazz. 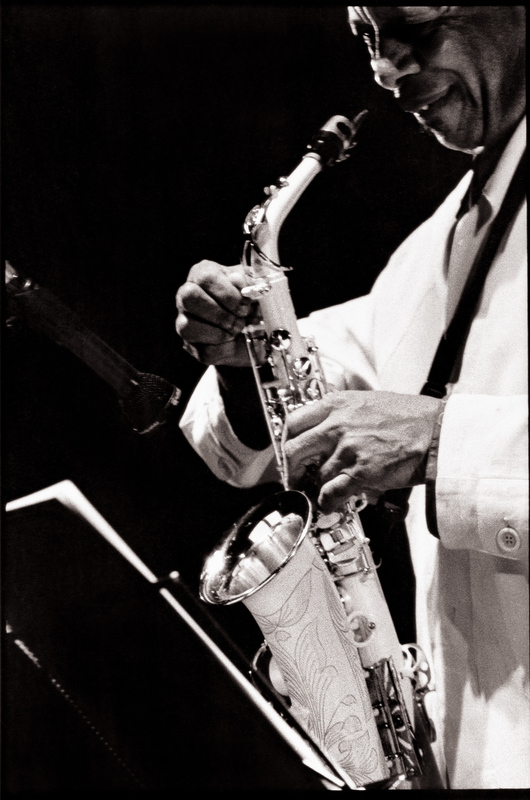 The alto saxophonist who outwitted segregation to hit the scene in 1959 and turn the music world on its head. Bursting through bebop and inventing harmolodics, a sound flowing with the unpredictable rhythms of being. He was called rebellious, disruptive, a fraud, thrown off band stands, horn mangled, shunned by his peers, rejected. Choosing to leave the music scene for long stretches, insisting his music be heard on concert stages and not restricted to small smoky basements. Knowing the cost of being a free thinker. He was guided by his harmolodic philosophy of love and expressing life’s surprises through art. Born in Texas, on March 9,1930, he is now called a genius, an icon, a legend, known as one of the most important figures in the history of music. One who is admired by artists across all genres for his convictions, the fight for freedom of creativity and to be one’s self. Ornette passed away in June 2015 at age 85; but his harmolodic song goes on. Ornette Coleman’s earthly accolades, like his Mac Arthur “Genius” Fellowship, Grammy and Pulitzer Prize for Music, reflect the respect due to a soft-spoken man of small stature but giant mind. He dared to sidestep the system, both socially and musically, shape his life’s trajectory to his will against all odds – and forever change the way music is listened to and played. From the go, the players juggled with the risky science of harmolodics. The essential melodic core of the piece is firmly stated; then, ignoring a traditional 4-bar structure, they journey through their own ever-changing improvisations, attuned to each other’s flow, their individual lines embracing anew when they meet to resolve a theme.